Following a thirty career as the senior surgeon on the sarcoma and melanoma unit at the Royal Marsden Hospital, Meirion now specialises in the treatment of skin cancer and diagnosing skin lesions. He runs a dedicated one-stop surgical clinic for benign and malignant skin lesions at the private Lister Hospital in Chelsea. For an appointment, contact Dena Kelman, his PA, on 020 7881 0794 or 07584 157 321 who can immediately advise you. Meirion works closely with dermatology colleagues. He chairs the multi-disciplinary skin cancer meeting at the Lister Hospital where all cases are recorded and discussed according to national guidelines. Although the emphasis of the clinic is the diagnosis and treatment of skin cancer, much of the work relates to diagnosing worrying skin conditions or looking at benign problems such as sebaceous cysts. 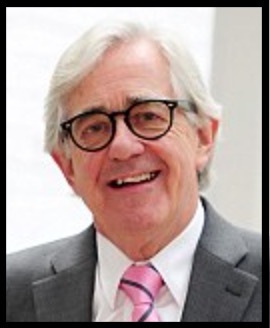 He had an enviable track-record in service development and research in the NHS, and for the last six years of his career at the Royal Marsden Hospital was appointed Professor of Surgical Oncology to Imperial College. He retired from the NHS in 2015 but continues to work in the private sector. Meirion offers the complete range of diagnostic and treatment modalities for skin lesions, and moles and excels where no diagnosis has yet been made. Nearly all treatment takes place in the outpatient setting where a rapid surgical removal of any skin blemish is also available if required on the same day.